AVINASH AUJAYEB was alone, trekking across a vast white glacier in the Karakoram, a mountain range on the edge of the Himalayan plateau known as the roof of the world. Although he had been walking for hours, his silent surroundings gave little hint that he was making progress. Then suddenly, his world was atilt. A massive icy boulder loomed close one moment, but was desperately far away the next. As the world continued to pulse around him, he began to wonder if he could believe his eyes. He wasn’t entirely sure he was still alive. A doctor, Aujayeb checked his vitals. Everything seemed fine: he wasn’t dehydrated, nor did he have altitude sickness. Yet the icy expanse continued to warp and shift. Until he came upon a companion, he couldn’t shake the notion that he was dead. In recent years it has become clear that hallucinations are much more than a rare symptom of mental illness or the result of mind-altering drugs. Their appearance in those of sound mind has led to a better understanding of how the brain can create a world that doesn’t really exist. More surprising, perhaps, is the role they may play in our perceptions of the real world. As researchers explore what is happening in the brain, they are beginning to wonder: do hallucinations make up the very fabric of our reality? Hallucinations are sensations that appear real but are not elicited by anything in our external environment. They aren’t only visual – they can be sounds, smells, even experiences of touch. It’s difficult to imagine just how real they seem unless you’ve experienced one. As Sylvia, a woman who has had musical hallucinations for years, explains, it’s not like imagining a tune in your head – more like “listening to the radio”. There is evidence to support the sensation that these experiences are authentic. In 1998, researchers at King’s College London scanned the brains of people having visual hallucinations. They found that brain areas that were active are also active while viewing a real version of the hallucinated image. Those who hallucinated faces, for example, activated areas of the fusiform gyrus, known to contain specialised cells active when we look at real faces. The same was true with hallucinations of colour and written words. It was the first objective evidence that hallucinations are less like imagination and more like real perception. Their convincing nature helps explain why hallucinations have been given such meaning – even considered messages from gods. But as it became clear that they can be symptoms of mental illnesses such as schizophrenia, they were viewed with increasing suspicion. We now know that hallucinations occur in people with perfectly sound mental health. The likelihood of experiencing them increases in your 60s; 5 per cent of us will experience one or more hallucinations in our life. Many people hallucinate sounds or shapes before they drift off to sleep, or just on waking. People experiencing extreme grief have also been known to hallucinate in the weeks after their loss – often visions of their loved one. But the hallucinations that may reveal the most about how our brain works are those that crop up in people who have recently lost a sense. I have personal experience of this. At 87, my grandmother began to hallucinate after her already poor sight got worse due to cataracts. Her first visitors were women in Victorian dress, then young children. She was experiencing what is known as Charles Bonnet syndrome. Bonnet, a Swiss scientist who lived in the early 1700s, first described the condition in his grandfather, who had begun to lose his vision. One day the older man was sitting talking to his granddaughters when two men appeared, wearing majestic cloaks of red and grey. When he asked why no one had told him they would be coming, the elder Bonnet discovered only he could see them. It’s a similar story with Sylvia. After an ear infection caused severe hearing loss, she began to hallucinate a sound that was like a cross between a wooden flute and a bell. At first it was a couple of notes that repeated over and over. Later, there were whole tunes. “You’d expect to hear a sound that you recognise, maybe a piano or a trumpet, but it’s not like anything I know in real life,” she says. Max Livesey was in his 70s when Parkinson’s disease destroyed the nerves that send information from the nose to the brain. Despite his olfactory loss, one day he suddenly noticed the smell of burning leaves. The odours intensified over time, ranging from burnt wood to a horrible onion-like stench. “When they’re at their most intense they can smell like excrement,” he says. They were so powerful they made his eyes water. Sensory loss doesn’t have to be permanent to bring on such hallucinations. Aujayeb was in fine health, trekking across the glacier. “I felt very tall – the ground appeared far from my eyes. It was like I was seeing the world from over my shoulder,” he explained. His hallucinations continued for 9 hours, but after a good night’s sleep, they were gone. Yet why should a diminished sense trigger a sight, sound or smell that doesn’t really exist? “The brain doesn’t seem to tolerate inactivity,” said the late neurologist Oliver Sacks when I spoke to him about this in 2014. “The brain seems to respond to diminished sensory input by creating autonomous sensations of its own choosing.” This was noted soon after the second world war, he said, when it was discovered that high-flying aviators in featureless skies and truck drivers on long, empty roads were prone to hallucinations. Now researchers believe these unreal experiences provide a glimpse into the way our brains stitch together our perception of reality. Although bombarded by thousands of sensations every second, the brain rarely stops providing you with a steady stream of consciousness. When you blink, your world doesn’t disappear. Nor do you notice the hum of traffic outside or the tightness of your socks. Well, you didn’t until they were mentioned. Processing all of those things all the time would be a very inefficient way to run a brain (see “Out of touch“). Instead, it takes a few shortcuts. Let’s use sound as an example. Sound waves enter the ear and are transmitted to the brain’s primary auditory cortex, which processes the rawest elements, such as patterns and pitch. From here, signals get passed on to higher brain regions that process more complex features, such as melody and key changes. Instead of relaying every detail up the chain, the brain combines the noisy signals coming in with prior experiences to generate a prediction of what’s happening. If you hear the opening notes of a familiar tune, you expect the rest of the song to follow. That prediction passes back to lower regions, where it is compared to the actual input, and to the frontal lobes, which perform a kind of reality check, before it pops up into our consciousness. Only if a prediction is wrong does a signal get passed back to higher areas, which adjust subsequent predictions. This idea is consistent with what was happening to Sylvia. Although she was mostly deaf, she could still make out some sound – and she discovered that listening to familiar Bach concertos suppressed her hallucinations. Timothy Griffiths, a cognitive neurologist at Newcastle University, UK, scanned Sylvia’s brain before, after and while listening to Bach, and had her rate the intensity of her hallucinations throughout. They were at their quietest just after the real music was played, gradually increasing in volume until the next excerpt. The brain scans showed that during her hallucinations, the higher regions that process melodies and sequences of tones were talking to one another. Yet, because Sylvia is severely deaf, they were not constrained by the real sounds entering her ears. Her hallucinations are her brain’s best guess at what is out there. 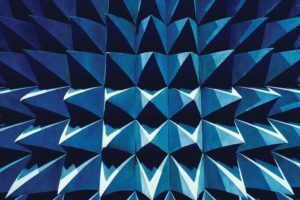 The notion of hallucinations as errant predictions has also been put to the test in completely silent rooms known as anechoic chambers. The quietest place on earth is one such chamber at Orfield Laboratories in Minneapolis, Minnesota. Once inside, you can hear your eyeballs moving. People generally start to hallucinate within 20 minutes of the door closing. But what’s the trigger? Not everyone reacts the same way inside an anechoic chamber. Some people don’t hallucinate at all. Others do, but realise it was their mind playing tricks. “Some people come out and say ‘I’m convinced you were playing noises in there’,” says Mason. Understanding why people react differently to a diminished sensory environment could reveal why some are more prone to the delusions and hallucinations associated with mental illness. We know that electrical messages passed across the brain are either excitatory or inhibitory – meaning they either promote or impede activity in neighbouring neurons. In recent experiments, Mason’s team scanned the brains of volunteers as they sat in an anechoic chamber for 25 minutes. Those who had more hallucinatory sensations had lower levels of inhibitory activity across their brain. Perhaps, says Mason, weaker inhibition makes it more likely that irrelevant signals suddenly become meaningful. People with schizophrenia often have overactivity in their sensory cortices, but poor connectivity from these areas to their frontal lobes. So the brain makes lots of predictions that are not given a reality check before they pass into conscious awareness, says Flavie Waters, a clinical neuroscientist at the University of Western Australia in Perth. In conditions like Charles Bonnet syndrome, it is underactivity in the sensory cortices that triggers the brain to start filling in the gaps, and there is no actual sensory input to help it correct course. In both cases, says Waters, the brain starts listening in on itself, instead of tuning into the outside world. Something similar seems to be true of hallucinations associated with some recreational drug use (see “Under the influence“). As these insights help us to solve the puzzle of perception, they are also providing strategies for treating hallucinations. People with drug-resistant schizophrenia can sometimes reduce their hallucinatory symptoms by learning how to monitor their thoughts, understand the triggers and reframe their hallucinations so that they see them in a more positive, and less distressing, light. “You’re increasing their insight and their ability to follow their thoughts through to more logical conclusions,” says Waters. This seems to give them more control over the influence of their internal world. You are constantly hallucinating. If and when failing senses turn down the dial on your vision or hearing, your brain fills in the missing pieces to keep the world around you in line with expectations. When this model diverges too far from reality, you get hallucinations. Studying the phenomenon has revealed just how much of the world our brain is constantly making up. But not all your senses work this way. In fact, the opposite seems to be true of touch. Your skin, after all, is never short of sensory input: from the chair under you to the tag in your sweater. To cope with this onslaught while still being able to guard against real threats, your brain has a formula to decide which require attention. Touches that are rapid – 250 milliseconds apart or less – are dismissed, so away go the chair and the sweater tag. Your tactile brain is in the grip of a constant “reverse hallucination”. It feels nothing even though there is actually a lot going on. For most people, anyway. Research is revealing that people with schizophrenia can’t do this reverse hallucination trick. John Foxe at the University of Rochester in New York got 30 participants to wear a bracelet that vibrated at various intervals. Foxe expected that the brain’s response to the stimuli would be large at first and then taper off, obeying the standard formula. But people with schizophrenia were still aware of the vibrations long after the rest had become inured. They were feeling things that, to everyone else, were no longer there. Such finding are causing some to re-examine schizophrenia, not as a condition of impaired cognition but as a sensory disorder. Impaired sensory processing plays a far larger role than anyone thought, Foxe says. The findings also imply that the brains of people with schizophrenia aren’t that different from other people’s brains. “The brain likes a world that makes sense, so it tends to make up stories to explain weird experiences,” says Dan Javitt, a psychiatrist at Columbia University in New York. That goes some way to explaining why case studies of tactile hallucinations in people without schizophrenia so often involve insects. Many of these cases start when someone has been taking a non-prescribed stimulant, which may disrupt the brain’s ability to turn off the sensory input. Then they explain the new tactile hyper-awareness using a familiar culprit. While none of us would want to experience hallucinations as intrusive as those associated with schizophrenia, you might be intrigued to sample a little of what your brain can get up to when running riot. To dip your toes into the waters of altered sensory perception, try the Ganzfeld procedure. All you need is a table tennis ball, some headphones and a bit of tape. Cut the ball in half and tape each segment over your eyes. Make sure you’re sitting in a room that’s evenly lit, and find some white noise to listen to over your headphones. Sit back and wait for the weirdness to start. Hallucinations can be difficult to study, given their subjective nature and the fact that they often occur as a result of medical conditions. However, you can study one kind of hallucination very easily, as long as you can convince people to take drugs in the name of science. As it turns out, it’s not that difficult. It’s been known for centuries that certain drugs can induce hallucinations, either spontaneously or after chronic use. But only recently have we discovered how these experiences are produced. David Nutt and his colleagues at Imperial College London gave 20 people LSD or a placebo and then scanned their brains. The scans showed that the volunteers’ hallucinations arose from the combined activity of brain regions that don’t normally communicate with each other. Regions responsible for vision, attention, movement and hearing became far more connected, while networks thought to give us an appreciation of the self became less so. That may be why people who take LSD often say they feel their sense of self disintegrating, instead becoming more at one with the world around them. So are LSD-induced hallucinations similar to those that appear in psychosis or after the loss of a sense? It seems that all hallucinations involve some disruption of networks that usually perform a kind of reality check (see main story). Regardless of the cause, all hallucinations result partly from the brain relying too heavily on its internally generated sensations, misclassifying these as coming from the outside world.